In July of 1991 I moved my family to Downey, California in order to take a management job at the West Coast office of a large wholesale costume company. The manager who I replaced was retiring due to issues with failing health. Our warehouse was relatively small in size requiring only a permanent staff of a lady who did the office work and a husband and wife duo who ran the warehouse itself. The business was primarily seasonal--a few months leading up to Halloween--so we would hire extra help for those couple of months, but most of the year it was me, Eva, and Tani and Luci. Estanislao Prado Gonzalez was a few years younger than I. He was a studious contemplative guy from Mexico. I related well to him--or at least his interests--as he enjoyed listening to a wide range of music and reading a variety of books in English. Though he spoke with a distinct accent, his English was excellent. I relied on him to help me communicate with our Spanish speaking customers. Since he seemed to be a passive quiet guy, Tani (as we called him) was easy to get along with. The only times I ever saw him speaking in an aggressive angry tone was with his wife, Luz. Unlike her husband, Luz was a very hard worker. Also from Mexico, Luz spoke no English, but that did not prevent her from doing her work without ever being told what to do. And she was always doing something while much of the time Tani would sit at his shipping desk reading, listening to the radio or cassettes, or just idly daydreaming. However they were an efficient team and together they got each day's chores done as they needed to be done. The outgoing manager, a sickly heavy-set woman of about sixty, had told me that she suspected that sometimes Tani abused his spouse; that Luz would sometimes come to work with eyes blackened and looking roughed up. I never saw any evidence that would have suggested any physical violence, but Tani did seem to exert a sort of control over her even though Luz came across as a pretty tough lady. Luz was an attractive woman who looked toughened by whatever her past had given her. Probably about the same age as Tani, she had living with them two teenage daughters from a previous relationship. Tani and Luz had a set of twins that had been born shortly before I arrived to my new job managing the costume company. The couple was a tremendous asset to me as I started a job that was quite different than the touring theater job I had previously held with the same company as I was now still working for. Still, the pressure of learning a new job was soon complicated by my wife leaving me to raise our three young girls ages ranging from ten to three. I lived very close to work and as manager I had a great deal of freedom to address the needs of my children and deal with a bad marital situation that was obviously headed toward divorce. These were very stressful years for me. As the first few years passed I became comfortable with the new job while facing the personal challenges that had been thrown my way. Fortunately people came into my life that helped things to flow more smoothly. Soon after becoming the primary parent in charge I began having Luz's daughters babysit for me on occasions when I needed to be out. The young girls were both teenagers and accustomed to childcare since they usually babysat the twins while Luz worked. Both girls were competent and trustworthy. They girls were beautiful, well-mannered, and seemed to be pretty intelligent. I preferred the oldest, Edith, to babysit because she would always do some housecleaning while I was out without me ever asking her to do so. Her sister, Gabriela, did her babysitting job with no cleaning. Either way I was more than happy to have two babysitters I could rely on. In 1994 things began to change at work. Early in the year Eva died. Eva was overweight, sickly, and she smoked to an excess which gave her a persistent cough. Though it put a lot more responsibility on my shoulders, I was able to take over Eva's work even during the busy Halloween season since I could rely on Tani and Luz to manage what needed to be done in the warehouse and a couple months of temporary helpers made their work load bearable. We got through that season with a lot of weekends and late hours, but we succeeded nevertheless. After Halloween the temp workers were let off and the quiet season of getting the warehouse back into order began so we could prepare for the end of the year inventory. There was an election that I didn't pay much attention to other than noting the controversy surrounding Proposition 187 which was a law regarding illegal immigrants. I didn't consider this to be of any great concern to me. My interests at the time were more directed at Thanksgiving and Christmas. I don't remember that particular Thanksgiving, but I do remember coming back to work on that next Monday to find myself the only one there--no Tani or Luci. Surprised that they had not let me know anything beforehand, I went about my usual duties and waited to hear from them. Finally a call came and Tani was on the line. Tani told me that they were afraid about the passing of Proposition 187 and had decided to move back to Mexico. I was shocked since I had no idea they were working illegally. I had figured everything had been taken care of by the lady who had hired them and I saw no problems with them being there. Not wanting to lose such excellent employees I assured Tani that if they would come back to work, the company would get them an immigration attorney to iron things out. He told me it was too late as Luz and the girls were already in Mexico. Tani said he was in San Diego and wanted to come back to pick up their last paychecks which would be arriving in the office that coming Friday. I told him that I would have to find out and that he should call me back. 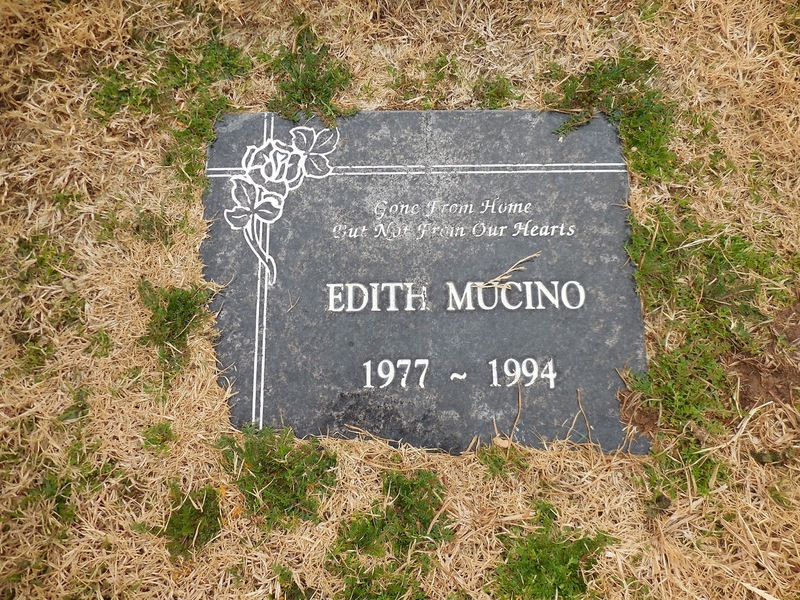 Later, the mother of Edith's boyfriend called me with great concern about the family's whereabouts. I told her what Tani had told me, but she wasn't buying that story. She expressed a fear that something was not right and she was going to call the police. Some time later a detective from the Downey police department contacted me. He explained there was no absolute proof that they found, but there was enough to suspect that something dreadful might have happened. There was what appeared to be blood on the carpets even though someone had very efficiently cleaned the now empty apartment with bleach and other strong cleaning fluids. The other odd point was that the family had moved into the apartment just a few days prior to their leaving. Tani had told someone at the apartments that they were going back to Mexico and that his wife and kids were already gone. The police had instructed me to make arrangements for Tani to pick up the checks and they would be waiting for him. Sad and a bit nervous about Tani coming back, I waited at the center of a police stake-out. I wasn't sure what would happen--if there would be some kind of violence or I would see Tani being hauled off glaring at me with a hurt sense of betrayal. But Tani never showed up and nothing happened. The police told me what I should do if I happened to hear from him again. I never heard from him or saw him again. Eventually the police tucked the issue away in the cold case file. They didn't have the technology yet to help them tell the complete story behind the evidence the police had taken from the apartment. Later, in 1996, some kids in Las Vegas found the remains of a body beside a street outside of town. Upon further investigation the police found two more bodies nearby. Police presumed the remains were prostitutes, but they could not identify those remains. Finally in 1999 a Downey detective became curious about the case and started doing some investigation. He tracked Tani to Las Vegas where he was working and living in squalid conditions with the twins. Still it took a while to build a case without any convicting evidence. Diligent detective work brought results and with the help of the Las Vegas police they were able to bring Tani in for questioning. 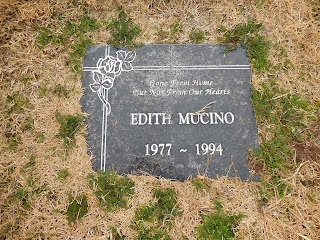 Tani eventually confessed to brutally murdering Luz Mucino and her daughters Edith, age 18, and Gabriela, age 17, and dumping their bodies. It's likely that he had help, but though there is at least one suspect, no one else was charged with the crime. Estanislao Gonzalez was sentenced to three life terms in 2004. Some readers might be thinking that this would be a good story for the television show Cold Case Files and it was--you can watch the episode here or on YouTube. They actually brought a film crew to the warehouse I managed and followed me around that spooky place as they interviewed me. They also filmed some of the scary props we had on display. None of this made it into the episode. Though no mention was made to me from the upper echelon of the company, I suspect that they too were contacted by the film company about the episode and it was all nixed for legalities and protection of our company image. But I never asked and no one ever told me anything. I didn't even get a DVD copy of the show like the producer had promised me. That's show biz I guess. There are several news accounts of this story if you search it out, but if you want to read a couple that appeared in papers in my area you can read the articles in the Los Angeles Times or the Long Beach Press Telegram. What incidents in your life give you the creeps when you think about them? Why do you think Tani would have murdered his wife and step-daughters so brutally? Have you ever been interviewed for a television segment that was never aired? To be cynical one might say that we are born in order to spend a lifetime waiting to die. But that is also a realistic point of view. We all die eventually. Most of us would likely prefer to stay in life's waiting room for as long as we can. A lot of kids might be asking their parents something like, "When is Halloween going to get here?" When you're a kid a few days can seem like an interminably long time to wait. A week might as well be an eternity. A parent's vision of hell might be spending forever with kids wheedling to know when such and such is going to happen. Fortunately I don't recall having that experience with my kids nor in my own childhood. I've mostly been patient in my life. At least on the outside. There have certainly been those times when my insides were in turmoil from the waiting. No one could ever tell unless I made a point of letting them know that I was experiencing a problem, but this has been rare in context of my sixty plus years of living. There are times when anticipation for something to come is about the same as being on the edge of a cliff with someone bigger behind me waiting to push me off. We wait. I wait for a fall while that bigger entity waits to shove me off into the depths. No thanks bud because in my life whenever I have been pushed something lifts me back up to start me off anew. I just have to wait for it all to happen. It will be okay. In my previous post I suggested that knowing where I am is often my most important question to have answered. However knowing where I am in the span of time might be equally vital information to have and in some cases the main point of interest. Knowing when is crucial when making a date or an appointment otherwise people would have a tough time making connections and lord knows that making connections can be difficult as it is. The "when" is what holidays and milestones are all about. Without the when there is no history, there is no time. When pigs fly, when all is said and done, or when we reach the end or our rope are all things that might pop up to surprise us or we might see them coming. "Just you wait and see," comes the empty threat. "See what?" I ask. "You'll know when it happens," from a voice filled with emotion and some tinge of helplessness. Today's post and my previous post both hold clues as to my next BOTB song, an old classic from a Broadway show--any ideas? How old were you when you began to grasp a workable knowledge of times and dates? If you were a random time traveler which would be most important for you to know initially--the time or the place? Which Is the Most Important Knowledge to Have? Which is the most important knowledge to have: Who you are? Where you are? or Why do you exist? This was a random question from my previous post and thank you to those of you who gave your answers. I had mentioned in that post that I often tend to think in terms of geography--the "Where am I" kind of knowledge. Ironically I just now watched a film that ponders these same sorts of questions with the overall conclusion that knowing where you are matters most. The 1962 Japanese film Woman in the Dunes is surrealistic existentialism quite similar to the films of Ingmar Bergman or Federico Fellini. My guess is that David Lynch probably was influenced by this film. The film is primarily a drama a la the works of Samuel Beckett. Most of the film focuses on two characters in a confined bleak setting. The run time is nearly 2 1/2 hours though the slow pacing makes it seem longer. Before going into the film I decided to give it 30 minutes or so before giving it up. The film was so riveting and thought-provoking that I stayed with it until the end and now here I am writing this review or whatever this is I'm writing. The story begins with a school teacher from Tokyo who goes to a seaside area of vast sand dunes in order to study insects. After he overstays and misses his bus back to the city, the villagers from the strange little town nearby invite him to spend the night with one of them. They take him to a vast sand pit where there is a house accessible by rope ladder. Taking on the adventure, the teacher finds that the house where he will be staying is occupied by a homely widow who treats the man kindly and lavishes him with attention. The following morning the teacher finds that the rope ladder is gone and he is now trapped with the widow. There is a strange eroticism to the story though it also presents a metaphor for the alienation of the human condition while clinging to an interdependence on others. An eerie pall is cast over this story as we see these humans struggling against the eternally flowing sands that permeate everything in their lives. The imagery of the drifting shifting sands depict emotion as well as the obvious comparison to the sands of an hourglass. When the teacher falls into the pit he already knows who he is but this identity no longer seems to matter the longer he is in the pit. The woman explains what their purpose is to be in this pit, but it makes no sense. Ultimately, when he attempts an escape, he realizes that his failure to get away was because he did not know where he was. It's not too often that a movie grabs me to the extent that I'll write about it. Maybe I should do it more often. But then I'm not totally sure anymore why I am here. On this blog I mean. I didn't intend to write this post because I had another in mind. But that's okay. Sometimes I feel like I've fallen into a sandpit where no matter how much I try to claw my way out, more sand keeps on pouring down and I can never quite get a handhold that will give me a grip to pull myself upward just a bit more. The sand keeps coming and there's not much we can do about it. Do you tend to just accept things without complaint? Are you good at making a bad situation into something better? 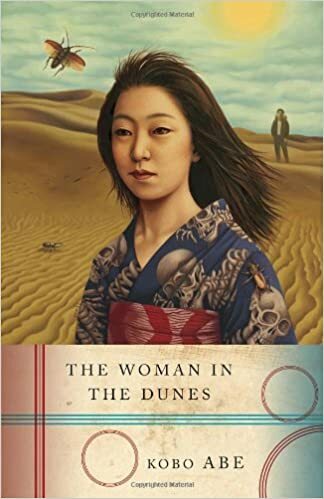 Have you seen Woman in the Dunes? My days can be pretty random sometimes, but mostly they seem the same. Sometimes I'll just stay quiet about things rather than risk offending anybody. Other times I'll just prattle about this or that--nothing with intended controversy. Some people will manage to find an argument in anything. Much of the time I tend to think of things geographically. I think we all probably slant our perceptions in regard to occupations, loved ones, our own feelings, or whatever the case might be. I'm fixing a small batch of chili for supper tonight. It's gotten cooler outside of late, but another heat wave is supposed to be coming next week. Somehow chili seems like a good thing to have today. Good chili in restaurants has been somewhat difficult for me to find over the years. I've often been disappointed. Ironically, Chili's Restaurant doesn't have chili that I'd recommend and I had high hopes for their chili. What a disappointment. Personally, I like the chili at Wendy's. But when you come down to it, no one makes chili or spaghetti better than what I make. That's my objective opinion. My latest Battle pitched Fernando Ortega against Van Morrison both singing their renditions of the hymn "Be Thou My Vision". Morrison definitely had the edge of familiarity working in his favor and came out of the chute in the lead and stayed there until the end. Van the Man won this match while Fernando proved a worthy opponent. Morrison is a favorite of mine and his Hymns to the Silence album is still an album that I play on occasion. However, I could listen to Ortega all day any time of day. His voice and orchestrations are so peaceful and calming. My vote went to Fernando Ortega. 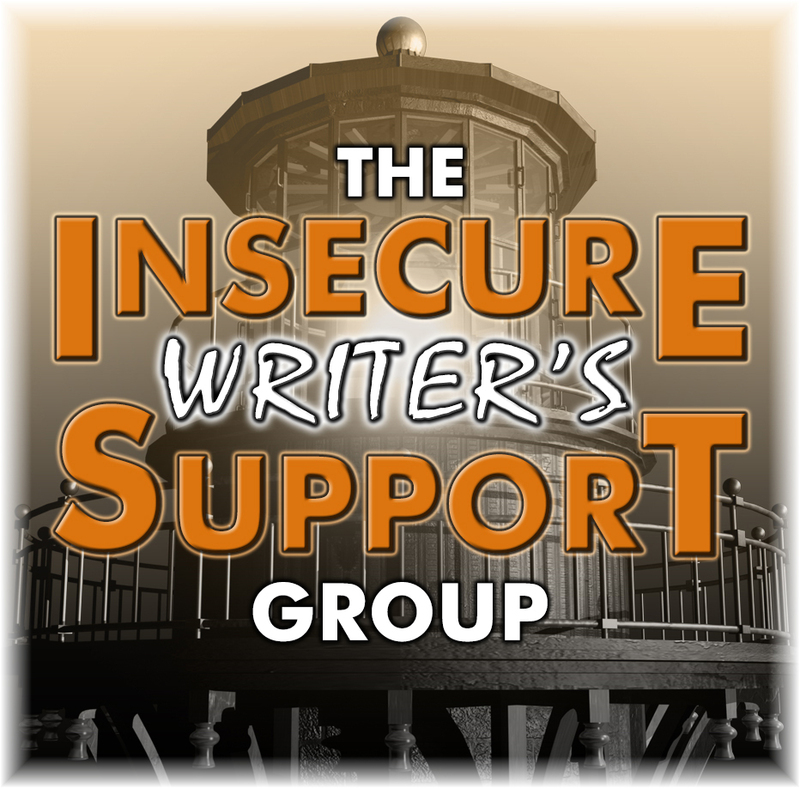 That will also be the day of the monthly Insecure Writer's Support Group posting, but I will try to meld the two posts seamlessly. Or something like that. You might even see a post or two before that one. Are you ready for November 4th? What will you be doing that day? How about a big ol' batch of biscuits and country sausage gravy? A good many churches have dispensed with the pew hymnals for which there is often no need because a good number of worship leaders sing the modern praise and worship songs with congregants following the words projected on a screen. With some prodding by older church attenders, our worship leader will usually add at least one traditional hymn to his song list. He might change up some tempos or some aspect of the presentation in order to modernize the songs, but still they are recognizable as beloved old hymns like we used to sing when we were kids. Those old hymns bring back a lot of memories for me. We sang them so many times that many of the lyrics are embedded in my brain so that I can still sing the words even though it's been fifty years or so since I used to sing them on a regular basis. Now we are singing them again and it's kind of cool. We still get mostly modern worship songs on Sunday mornings, but that's okay too. Besides, our praise band is so darn good. It's a small four piece ensemble, but they can really play. I don't listen to music like I used to, but at least I get a good dose of well-played music every Sunday morning. And the selections played almost always includes a good old-fashioned hymn like the ones that were in the old hymnals that we used to have at our seats. They're gone, but at least we still have got some of the music. This is one of my wife's favorite hymns as well as being one of my favorites. "Be Thou My Vision" comes from a traditional Irish hymn that dates back hundreds of years. Many versions of the hymn can be found on the internet with the two that follow being my favorites. Fernando Ortega comes from Chimayo, New Mexico where his family has lived for eight generations. He has a degree in music education as well as having recorded numerous albums. Ortega's version of "Be Thou My Vision" comes from his 2003 album Hymns of Worship. Van Morrison likely needs no introduction, but if you don't know then you can look him up. I'll just say that he's been putting out some pretty good music for decades. His take on "Be Thou My Vision" comes from his 1991 double album Hymns to the Silence. What'll it be, Pilgrim? Is it the smooth soothing sounds of Fernando Ortega or the pub-tinged Celtic sound of Van Morrison? . Do you have a preference between these two choices? Which version do you like the best? You don't have to know about music to have an opinion since it all comes down to your own personal taste. Please vote below and then come back on Friday to see if your favorite version won. And that's all I have to say about that. Otherwise, I've got plenty to say, but I'll just wait til some other time to say it if I even say it at all. Are there any traditions no longer practiced that you somewhat miss? Do you have a favorite hymn? What song from childhood have you not heard for many years, but you still remember the lyrics? Lately I've had so many things that I've wanted to blog about, but I can't motivate myself to write the posts. Ideas keep coming to me--ideas that interest me. Do they interest anyone else? But, alas, I don't post and I don't even visit other blogs like I used to. And I'm still cleaning my garage. 2. This Weinstein thing could take several directions. Wherever it goes, this story could get mighty big going way beyond Harvey. Unless there is some kind of cover-up. 3. By the way, what's happening with that Mandalay Bay shooting? This is starting to get weirder and weirder--as though it weren't weird to begin with. 4. I'd never seen the 1950 film Destination Moon until recently. I was impressed by the accuracy of the science in this cinematic version of Robert Heinlein's Rocket Ship Galileo. Sure there are gaffs and absurdities, but keep in mind this movie came out nearly 70 years ago. 5. Girls in the Boy Scouts just doesn't seem right. When I was a kid I used to like the official BSA magazine Boys' Life. What would they call it now? 6. I don't care what the Boy Scouts do, but please don't mess with the Girl Scouts. Gotta have those cookies. What the heck do Boy Scouts sell anyway? 7. Now and then I tune into CNN just to see what they are reporting. Has anyone else noticed how whenever they do a story about President Trump they lead-in with something negative? I'm sure it's a psychological tactic, but that's one reason why I don't watch much CNN. 8. I watch even less MSNBC--only now and then out of curiosity to see what they are talking about at that moment in time. My moments with MSNBC are usually fleeting. 9. Lately I've been tuning in more to One America News Network (OAN). They present a wider range of news stories than one finds on the other networks. This network reminds me of CNN in the earlier years when it was almost exclusively news stories with little to no opining. 10. Going through a box of cassette tapes that I found in my garage, I reboxed them more neatly, looking at each one as I put it into place. I remembered them all. So many great memories of listening to taped music in the 80s and 90s. The Soundtrack of my Life during those years would be very long, lasting for hours. That box represents a mere fraction of all the cassette tapes I own. 11. I haven't heard too much in the media about the Rohingya "Crisis" in Myanmar (Burma). When I have heard reports they don't seem to correctly jibe with what I've understood about the situation. This problem has been going on for some time and I think it started with the Rohingya people so I don't have much sympathy for them. 12. Halloween is coming and that reminds me of my old job as well as many other memories. My earliest posts on Tossing It Out were all related to Halloween. 13. Sometimes I daydream of moving to some place where I have no connections. Lately I've been monitoring the housing market in Marion, Virginia. Anyone know anything about Marion, Virginia? 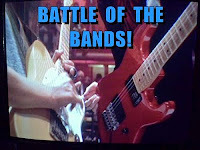 Please be sure to come vote on my Battle of the Bands post that will show up on this blog space on Sunday October 15th. This round I'll be picking a song that is Sunday appropriate. Yes I said it even though here in Los Angeles what used to be called "Columbus Day" is now "Indigenous Peoples" day. Somehow the new day seems more impersonal with an overgeneralizing of all the many peoples who lived in the Americas before the "evil white men" came to destroy paradise. Frankly I'm glad things turned out the way they did because I'm happy with my life and with my country. Stuff happens and when it comes down to past history there ain't nothin' you can do about it when it's all behind you. So I raise a glass to say, "Thank you Christopher Columbus!" Without him then someone else would have come along and discovered America. Mankind is restless and always in search of new ventures and adventures. Enslaving the indigenous peoples the 15th century Spaniards encountered might not have been what you and I would have thought of doing with our 21st century outlook, but people back in those days thought differently than we today think. The past is what it is and that's that. What Christopher Columbus achieved was by any account pretty amazing and something that few of us would dare try. Personally I'm going to give acknowledgement to the driving curiosity that drove those men of the past to do what they did. I'm not their judge and nobody--absolutely nobody--living today is worthy of casting judgement on Columbus or any other from the past. Our judgement over past humans amounts to intellectual exercises that have no real consequence to the world other than bantering about in intellectual fantasies. The more important thing is to learn from the past to become better ourselves. I will continue to think of October 12th as the actual Columbus Day. And I will continue to think of him as a hero of his time, though a flawed hero as heroes often tend to be. Please leave his statues be and please don't start changing names of all of the cities named in his honor. That would really be a big mess. Though I don't like to say I'll never do something, I'll say in this case that this past weekend was my last garage sale. It was a lot of work for about 3 hours in the hot sun before I started packing it all in. The $60 that I made from the sale seemed hardly worth it and I barely made a dent in all the stuff in my garage. And now I have a huge mess to continue to organize and put back. Hopefully, in putting everything away, I'll organize it all better so that it will be easier to find stuff for the next garage sale. I mean, I don't plan to do another sale, but you know how that can go sometimes. Never say never. But I think I am going to say it and probably stick to it. Standby Goodwill--I've got a load coming your way. Do you think Christopher Columbus is worth remembering and honoring? Would the Americas be a better place if the Europeans had never come here? What do you think a world without the influence of "white people" would be like? How can I rule the world if I can't keep my garage in order? Forget about wanting to run the world. I don't need that headache. So next best thing is a garage sale, right? Our community has scheduled a neighborhood sale this coming Saturday. Since this is a gated community we all have to do sales at the same time, which is good if a lot of home owners participate. For the most recent sales it doesn't seem like there were many participants. Consequently browsers and buyers have decreased over the past few years. But no matter. Being the community minded guy that I am I'll participate. Really it has nothing to do with my community spirit. I just need to get rid of stuff in case I move in the coming years. I sense that a move is imminent so I want to start getting ready. And if it's a matter of something else then I want to be ready for that as well. Whatever the case, I've got a lot of stuff in my house that my wife and I don't need. I've also been running across some things that are making me think about my life and also my blog. Maybe I'm going to take a detour with my blogging in the upcoming days or weeks. I'll just have to mull this around a bit and see what I think next week. After that stupid garage sale. At least I've been finally cleaning our garage. Speaking of ruling the world, my October 1st Battle was two artists with their versions of the Tears for Fears hit "Everybody Wants to Rule the World". First up was the version by Lorde which a good many concurred as being dark. Since this version came from the Hunger Games soundtrack I figured some fans would lean toward Lorde. But it was the perky version from Christian group Relient K that won most voters over including me. I also think that version stepped things up from the original version. Relient K does some excellent music. And we needed some perky music this past week. I'll probably have more posts before then. Most likely I'll post again this coming Monday the 8th. Let's see how this garage sale turns out. It's supposed to be hot on Saturday so I'll likely only stay out until ten AM--or at the most eleven. No point in wearing myself out selling stuff. It's going to take a week to get that darn garage back in order. How often do you have garage/yard sales? Do you ever shop at such sales? Do you think you are capable of ruling the world? Co-hosts for the October 4 posting of the IWSG are Olga Godim, Chemist Ken, Jennifer Hawes, and Tamara Narayan! In my view the writer is in charge of the story as well as the characters of that story. As the creative director of the world on paper (or wherever the story ends up), we channel ourselves into that world we have created and all inhabitants thereof. No character slips into the story unbeknownst to the writer. As a matter of logical deduction, my premise goes on to say that every character contains some part of us whether intended or not. Sometimes writers will say that their character took over and carried the story in a different direction. Okay, that's a fun way to dramatize what happened, but let's be truthful: A writer controls story and character and that writer's mental DNA is all over the creation. Write enough of what you know then you will undoubtedly slip some private information into the mix. In stories I've written, my characters are often modeled on composites of people I know, have observed, read about, or the actors who portray characters in movies or television shows. More than once have I inserted actual conversations I have heard or events that have been a part of my life. If someone relates something that I find interesting then there is a possibility what I've heard will be disguised and used in some future story. I've done it many times and will likely continue to do so as long as I continue to write. The way I see it is that we are all like blenders. Life pours in the ingredients and our brains mix it all up into a ever growing mishmash of knowledge, facts, and anecdotes. A writer might not be aware that they are tapping into that mixture on a regular basis to personalize the information they use in a story, but when the personalization happens then there's that writer smack dab in the middle of the story somewhere. Or woven and blended all through it. When you think about it, you'll probably come up with writers who write about a geographical area they know well, their occupation, or a field of special expertise. Lawyers sometimes end up writing about the law profession, doctors about doctors, and even writers about writers. And when you get so close to who you are then some information will slip into the writing by habit or instinct. Other information you will purposely use because you know it is real and that's when your story becomes more real. We are our stories. We live and breathe them until we move on to the next one. We invest our time and energy into the writing. Even our soul and spirit. With that much of us in the story we write, we will slip in some personal information now and then, whether it be accidental or on purpose. But maybe our stories could be thought as crime scenes where leaving fingerprints isn't really all that big of a deal. Besides, having the bits and pieces of the writer scattered throughout the writer's work gives the critics and scholars more to chew on later. Do you believe a character could actually wrest control of the story away from the writer? Do creative endeavors drain you or energize you to keep on doing more? 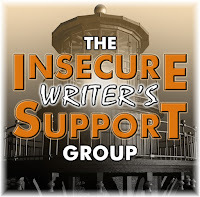 Is writing a catharsis for you or is it an escape from your real life? Almost everybody has some kind of opinion about how things should be run and what current administrations are doing wrong. "If that person can run a country, then why not me," some might be inclined to say. And I say thank goodness they are not. The United States has so much incompetence in government and we don't need any more. From my perspective I think things in our government are being run well, but the media and the liberal leftists loudmouths would have us believe otherwise. But I also think they are trying to rule the world. Lorde's version appears on the soundtrack for Hunger Games: Catching Fire. Dark and foreboding, this version drags the rhythm to a dirge--a far cry from the original version by Tears for Fears. Appropriate for the movie as well as a dramatic rendering of this eighties classic. This Contemporary Christian group from Ohio has delivered a number of albums since they first got together in 1998. Their version of "Everybody Wants to Rule the World" comes from their 2011 album K Is For Karaoke which is a compilation of song covers. The group stays fairly faithful to the Tears for Fears original. You might not rule the world, but you are in charge of your opinion in this Battle. Do you have a preference between these two choices? Which version do you like the best? You don't have to know about music to have an opinion since it all comes down to your own personal taste. This year is rapidly winding down to its end. Maybe I can gear up for more frequent posting. I'm going to take things as they go. 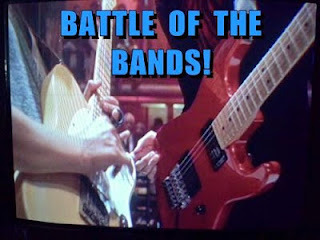 But you can count on my BOTB results post coming this Friday. Hope to see you back then.